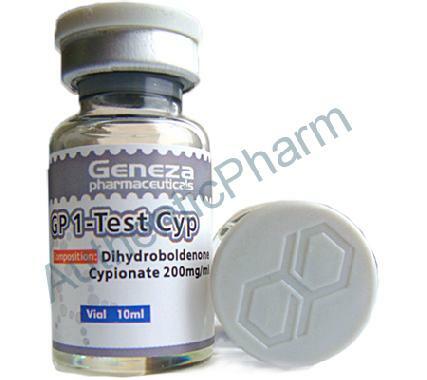 GP 1-Test Cyp is a product that contains 200mg of the Dihydroboldenone Cypionate. The frequency of dosing with dihydroboldenone depends on the ester used with the compound. Seemingly the most popular current ester to produce the drug with is Cypionate. Typcially, males would use a dosage of 200-400mg Dihydroboldenone Cypionate a week.